Don't Take that Throne with ME! Cleopatra might have born royal but she had to struggle to rule. First, it was her little brother that tried to take the throne. Then it was her other little brother. Because of her ambition, she was tossed out of the capital city. Tough stuff. This might have stopped someone less intense. 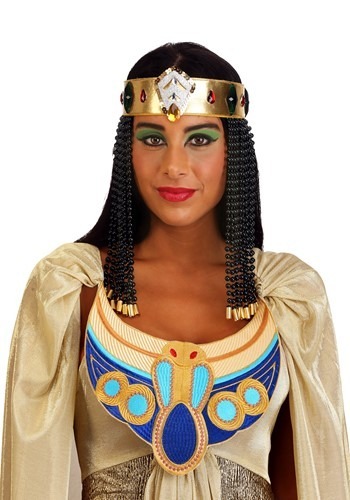 But Cleopatra is an icon for a reason! The down and out queen had her servants roll her up in a carpet and sneak her into the capital's palace when Rome's king was visiting. When she was unfurled, her fearless nature, witty way of speaking, and relentless charm were enough. She was an obvious leader. She convinced Rome's king to back her up in her bid for the throne. With moves like this, there was no doubt that Cleopatra earned her crown! We love making our historical costumes extra fun, fashionable, and comfortable. That's why our Made by Us Cleopatra crown is made with comfortable foam while featuring plenty of sparkle in the gemstones and sequin trimmed centerpiece. 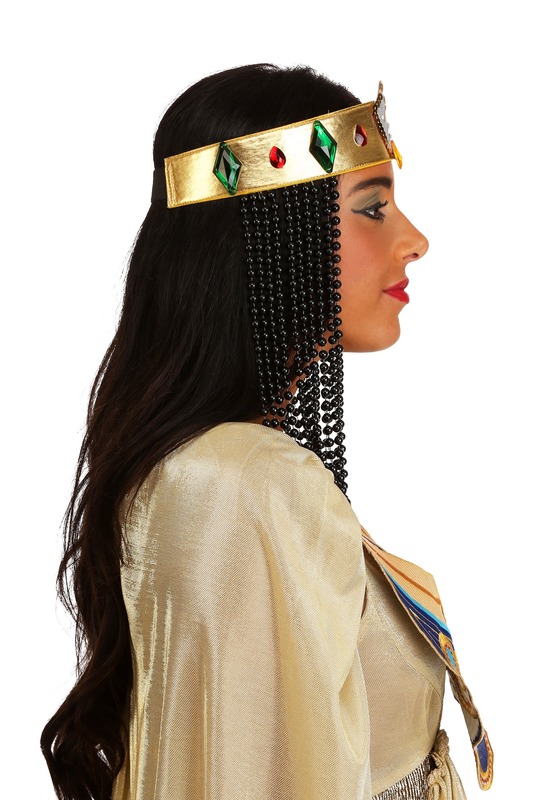 The crown is trimmed with beads the echo Cleopatra's signature hairstyle so you can be sure people will recognize your iconic character as soon as you enter the room!